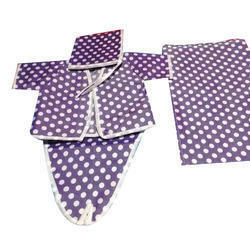 Leading manufacturer of New born Baby kit which is bacteria free, hygienic infant wear.The light fragrance in the fabric comes as welcome relief.Eco friendly/herbal dyes used to manufacture fabric. Creative and hardworking professionals, leave no stone unturned in presenting the first-class quality of New Born Baby Kit. The products are sourced from dependable sources.